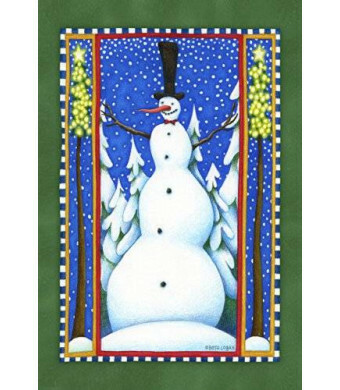 This Toland Home Garden Stovepipe Snowman Garden Flag is a high-quality, brilliant and bold flag with which to decorate your home during any season of the year! This top quality flag design was created by Beth Logan dba Art Stuff Ltd. and was produced in the USA by the authority in decorative house and garden flags, Toland Home Garden. There is something for everyone in Toland's sought-after line of original decorative art flags. Discover a range of seasonal, patriotic, holiday and renowned everyday flag designs. Don't forget your flag accessories like flag poles, metal stands, wooden hangers, suction cup hangers, and flag arbors to display these beautiful decorative flags! Find the right size flag for your home: almost all of the Toland flag designs come in either a large house flag size or a smaller garden flag size. This Toland Home Garden Stovepipe Snowman Garden Flag 119633 is a high-quality, brilliant and bold flag with which to decorate your home during any season of the year! This top quality flag design was created by Beth Logan, dba Art Stuff Ltd. and was manufactured by the authority in decorative House and Garden Flags, Toland Home Garden. There is something for everyone in Toland's sought-after line of original decorative art flags. Discover a range of seasonal, patriotic, holiday and renowned everyday flag designs. Also, don't forget your flag accessories like flag poles, metal stands and flag arbors to display these beautiful decorative flags! Some of these designs appear on Toland's Art Bird Feeders, Hanging, Railing, Gravity Grow, and Cauldron Art Planters, too! Also, don't forget your flag accessories like flag poles, metal stands and flag arbors to display these beautiful decorative flags! Find the right size flag for your home, almost all of the Toland Flag designs come in either a large house flag size (28 in. x 40 in.) 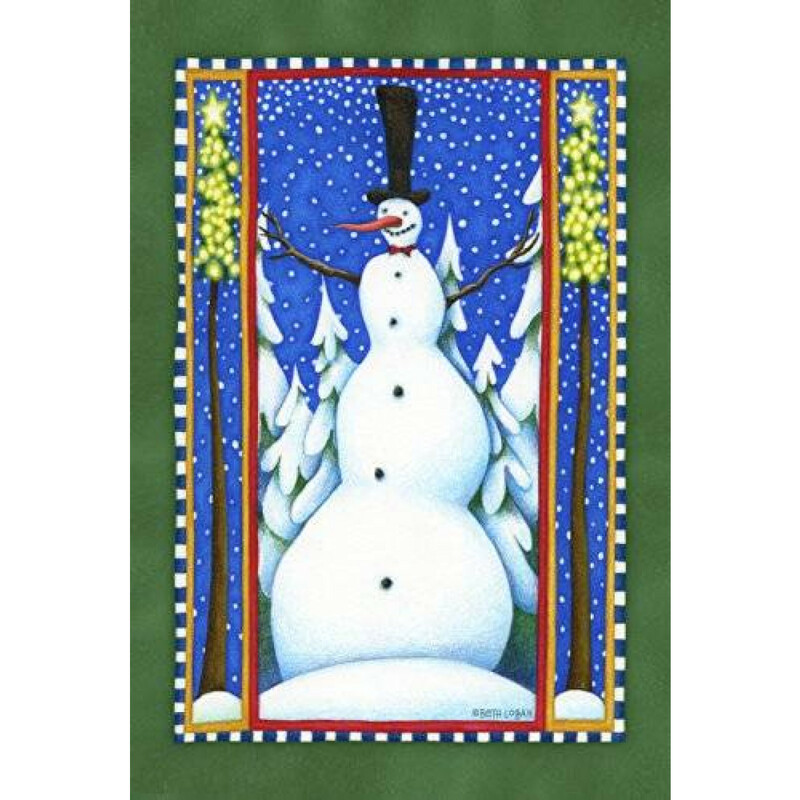 or a smaller garden flag size (12.5 in. x 18 in. ).